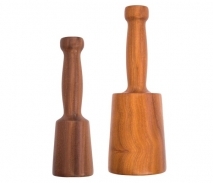 Small Mallet Specification. Overall Length: 230 mm. Head Diameter: 60 mm. Average Weight: 300g.